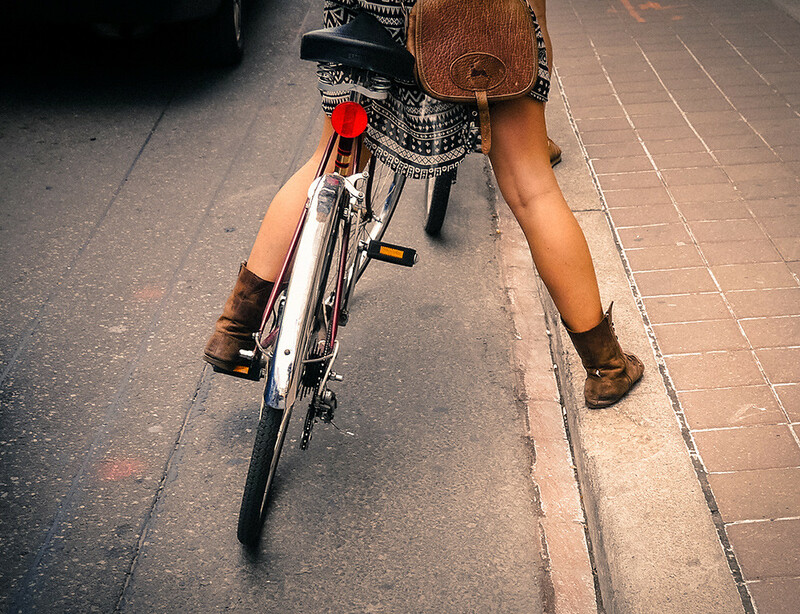 For the average bicyclist, the curb can serve as a pit stop. Allowing for an opportunity to recharge, make some quick adjustments while providing leverage and stability before pedalling off again. Though stopping a few feet away from the curb and having to reach with your foot can complicate things. Simple physics will ensure any attempt to prop yourself up to be unusually cumbersome. However there is the exception. Those looking for a good groin stretch may find it beneficial. Also those with ankle boots and/or toned legs can do whatever they want and should be encouraged to do so.